What does Penguin 1.1 mean to you? Well, it’s some sort of Google update that can once again make or break you. Webmasters have been revising their SEO strategies to cope with these changes. Some are working on link removal campaigns while others are trimming their keyword-stuffed content. The first Penguin algo data refresh is known to affect less than 0.1% of English searches. However, it’s impact on SERP can be sometimes alarming to webmasters. There are those people who suddenly dropped their rankings. Unfortunately, there’s nothing else they can do about it unless they try to please Google. And how would you please someone who you don’t really know? For a start, dealing with these changes can be easy if you understand and follow Google TOS. And one no-brainer thing to do is to write what you love. Focus on your content, not on backlinking. I mean, not yet. Focus on something that you’re passionate about because it means a lifetime income. No matter how many times Google updates its algorithing, as long as you love what you’re writing, no one can stopped you since you’re writing for you and your readers sake and not just for the search engine. And this Penguin update loves that part. It is more on the natural flow of the content and not manipulated keyword-stuffed posts. With the continuous changes in Google algorithm, do you think your site can keep up with it? Will you able to improve your ranking? Just keep this in mind, not all of Google’s changes affect your rankings. But there are still important things to do to comply with the new set of rules and deal with some changes. The first thing that you have to review is the anchor text. You have to make some necessary tweaking. Make use of different keywords to link your sites instead of using a single anchor text all through out. Overusing anchor text would send wrong signals to GoogleBot. It is also important to know the right way of handling queries both for navigational and local intent. 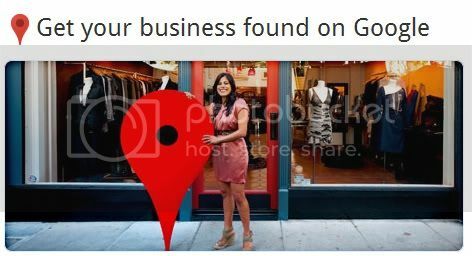 If you are trying to promote a local business, having it listed on Google Places will greatly help since it will increase its online visibility. You can also consider adding specific tags for the images used since Google have already improved the image search feature. And as for the content, always make sure that it is relevant to the overall them of your website. Quality content gets indexed better than gibberish ones. Utilizing the social media will also help a lot. Installing plugins that can increase your site exposure on social network is highly recommended. GoogleBot continues to become smarter and now those who are overly doing SEO are about to get penalized. Abused of keywords and the so-called over optimization will be looked closely to give ranking priority on quality sites. This means that everything should be done in moderation from now on. Most automated strategies are tagged as spam by Google. So the best way to deal with these changes is to keep practicing safe SEO methods. White-had SEO can improve your ranking in a guilt-free manner. It also guarantees you that you can keep your ranking as long as you are not drifting away from good practices. It’s official, Google’s new Freshness Update will affect the search results. The latest update in Google algorithm aims to yield a more relevant result through fresher content. The completion of Caffeine web indexing system will impact 35% of searches. There’s no update yet about the methods of evaluating freshness but the search result is not solely dependent on it. The number of back links, site reputation and page rank still matter. Content freshness is just one of the determining factors in filtering web search result. Now, what is the real deal? With the online competition, isn’t it obvious that your site must have fresh content? By regularly publishing new posts, you’ll have a competitive edge and gain more visitors. Your site is your own network. People notice what you keep on airing and you can build a good reputation out of it. Google is so smart that you can no longer trick it with just link baits and scraped content. The moral of the story: Produce quality content. Quality means fresh, clear and informative content that can keep the readers engaged. Establishing a business nowadays has become more of a challenge especially that competition in the market is really tight. With the invention of internet technology, you have to find ways to use it to your advantage if you plan to be successful in your business and have staying power. In addition to online advertising, you should be able to utilize search engine optimization. Search Engine Optimization is basically the technique of being able to make it on the top five list of a search engine results page. In order for you to be able to be on the first search results, you have to employ the keywords commonly used by people who utilize search engines. By inserting these keywords in your website, the chance that your page shows up whenever these prospective customers conduct a search increases. However, you also have to keep in mind that you cannot sacrifice the content of your page just to put keywords in your site. Your keywords should be relevant to your website or else you will risk having search engines like Google label your site as spam. Blogging, writing articles, taking advantage of paid advertisements and leaving backlinks in forums and other trustworthy websites like government related websites or educational websites are but a few effective methods that you can employ to increase your rank in search engine results page. But perhaps the most important thing that you have to remember is that you are not the only implementing this system. Expect your competitors to do it too and by observing how they optimize the search engine can also be a big help in strategizing.